Friday’s back and FanDuel has us all-in with a 15-game slate. For those of you in season-long leagues, we’re in the home stretch and the grind is real! So, let’s see what FanDuel has in store for us tonight. For Jose Berrios ($8,500), its been a little up and down as of late, but sometimes in DFS, that gives us a discount in a good match-up. Berrios gets the Royals on Friday, and for me, the price is right. Nice match-up with K upside at a price that allows me to get some of the big bats in, which makes Berrios a really nice GPP play. Cash plays? We got cash plays…just keep reading. Max Scherzer, SP: $12,000 – You know the big dawg’s gonna eat. Just gotta find those cheapo bats to go with him. Masahiro Tanaka, SP: $10,200 – Torn UCL? What torn UCL?? Tanaka’s been balling out recently, with 30 or more points in 9 of his last 10 starts. Cole Hamels, SP: $9,500 – Speaking of balling out, Hamels found the Fountain of Youth, and apparently Ponce de Leon was looking in the wrong place. Spoiler alert, it’s in the South-side of Chicago. Tyler Anderson, SP: $6,300 – Wait, what’s that? He’s actually better in Coors? Huh, um, well, this is awkward, I really thought being out of Coors and into SF (I think there’s a song here…..Get out of my Coors, get into my park) would be a good thing. Eh, whatever, I’m still using him in a GPP. Giants bats don’t scare me. Luke Voit, 1B: $3,600 – Marco Estrada‘s got reverse splits and you know what the Yankees have? Righty pop. Carlos Santana, 1B: $3,100 – Santana’s plate skills are really underrated. He BBs (11%) more vs LHPs than he Ks (9.8%). Wilson Ramos, C: $2,800 – .330/.358/.938 vs LHP, but really, this is about Wei-Yin Chen. Chen at home, 1.77 ERA. Chen away, 9.13 ERA…… what? Let’s go!! Phils stack to start my weekend!! Jose Miguel Fernandez, 1B: $2,500 – As of this writing, Seattle hasn’t announced their SP, so keep an eye on that. Obviously if James Paxton starts, I don’t want you to look this way. But if Fernandez gets a favorable match-up, this is a nice pay-down option. Francisco Mejia, C: $2,500 – Good for the Padres for figuring out how to get his bat in the lineup. Dude can hit! Jim Adduci, 1B: $2,400 – The Indians decided to push back Kluber’s next start, so Josh Tomlin’s starting tonight <insert laugh track here>. For the record, I hate laugh tracks. Don’t tell me when to laugh. Sorry, sidetracked. I just wish there was more pop in Detroit’s lineup. Gleyber Torres, 2B: $3,600 – One of those RHPs with pop in the Yankees lineup. Cesar Hernandez, 2B: $2,300 – This is just too cheap for a lead-off man. Let’s do some more anti-Marlins analysis. Miami played a double header vs the Mets on Thursday, so the bullpen might be slightly worse for the wear. Josh Harrison, 2B: $2,100 – I’m not big on BVP, because of small sample size, but 7/15 vs Gio Gonzalez with 2 HRs. Jurickson Profar, 3B: $3,200 – He thrives vs LHP and Eric Lauer is nothing to fear. Jeimer Candelario, 3B: $3,200 – I’m reaching some, but I NEED to get some bats in vs Tomlin. Amed Rosario, SS: $3,100 – Mets have finally taken the kid gloves off Rosario, and he’s pretty quietly gone .287 with 4 HRs and 9 SBs in August and September. Jorge Polanco, SS: $3,000 – I definitely write about him every week. Fine, I love him, ok??? Happy now??? Nelson Cruz, OF: $4,100 – Yeah, he’s expensive. Big whoop wanna fight about it? Big boy’s got the pop to back up the price. Lorenzo Cain, OF: $4,000 – Remember how I don’t really like BVP? 8/16 vs Chris Archer and in theory, some of those ABs were vs good Chris Archer. Nicholas Castellanos, OF: $3,800 – The legit pop in the Tigers’ lineup, so let’s pick on Tomlin! Rhys Hoskins, OF: $3,600 – I’m completing my Phils stack with the big boy. Although, if Aaron Altherr ($2,000) is in the lineup, I’d consider him a cheap punt option. Avisail Garcia, OF: $2,800 – I really wanna find a way to pick on Luis Ortiz??? Honestly, I’ve tried looking him up 3 times and just not finding anything good. Jake Cave, OF: $2,600 – Great vs RHPs and gets a nice match-up vs Jorge Lopez. Heard any good weather stories lately? MLB is actually pretty lucky tonight. There’s some rain in Baltimore for the O’s/White Sox, but other than that, no real rain/wind issues. A couple of huge favorites on the slate in the Yankees -280 vs Blue Jays and the Cubbies -220 vs Reds. Gives Hamels and Tanaka an extra little bump for the W bonus points. No double-digit totals for Friday, but we have a couple 9s (Mets/Red Sox, Tigers/Indians) and a 9.5 (White Sox/Orioles). I’m laying my cash on my lead, Berrios and the Twins, who are just a -120 favorite currently. 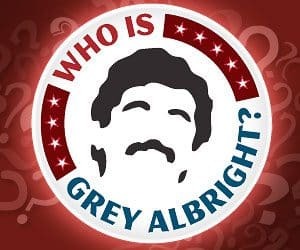 @Grey Albright: Thank you!! That’s actually me too. Philly has the Mummer’s parade every New Years…..I decided to do my own make-up, which in my opinion came out fantastic. I’m actually photobombing a group of girls in the original picture of this.